Provide comfort for the family of Michael Jarem with a meaningful gesture of sympathy. Longtime Pittsfield resident, Michael Samuel Jarem, 92, passed away on Tuesday afternoon, February 26th. Born in Czechoslovakia on October 27, 1926 son of Jon and Tessie Yarembinsky, he emigrated with his family to the United States at the age of two. The family settled in New York City where he attended local schools, and graduated from the Straubenmuller Textile High School in 1945. Mr. Jarem was drafted into the United States Army in January 1945, where he served for 20 months until his honorable discharge in September of 1946. In 1951 he graduated from the University of Michigan with a Bachelor's Degree in Mechanical Engineering, and later completed engineering courses at Columbia University. In 1982 he earned a Master's Degree in Industrial Administration from the Graduate College of Union University. Mr. Jarem worked for the General Electric Semiconductor Projects Department in Buffalo New York, and later for G.E. Ordnance Systems as a Quality Engineer retiring in 1988 after 30 years. He and his wife the former Olga Janeshewski where married May 29, 1954, at the Russian Orthodox Cathedral of the Holy Virgin in New York City. 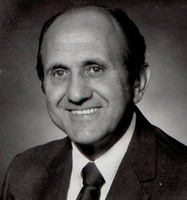 Mr. Jarem was a member of Saint Stephen's Episcopal Church in Pittsfield where he served as secretary of the Men's Forum and was a Table, Volunteer. He volunteered as a Gate Attendant at Tanglewood during their summer concerts and was often seen enjoying the companionship of his fellow GE retiree volunteers while assisting concert goers. He was also was active with Providence Court where was an Elder Services volunteer. Michael enjoyed Tennis and swimming at the YMCA. He was fond of attending Tanglewood Concerts with his family and friends where they would have picnics on the lawn, and catching up with his friends on Saturdays over a cup of coffee at Friendly's. Mr. Jarem leaves his Daughter Kim S.M. Jarem-Pearse of Littleton; his son David J. Jarem of Pittsfield, and four grandchildren, Noah and Joseph Pearse, and Nakita and Daimien Jarem. In addition, Mr. Jarem was pre-deceased by his wife Olga Jarem, and his sister Anne Burd. He is dearly missed. We love you Dad and Grandpa. Services were private. In lieu of flowers, memorial contributions may be made in his name to the American Cancer Society in care of Dery Funeral Home, 54 Bradford Street, Pittsfield, MA 01201. To send flowers in memory of Michael S Jarem, please visit our Heartfelt Sympathies Store.